Cora was appointed Chief Executive (CE) of Sanlam Investments Institutional Business in 2013, where she and her team were responsible for managing Sanlam Investments portfolio of Institutional Clients (Pension Funds, Retirement Funds, Provident Funds, Endowments and Corporates) in the private and public sector. Prior to 2013, Cora was the managing director of Sanlam Investment Management (SIM). SIM is a multi- specialist investment management business and one of the largest asset management companies in SA. 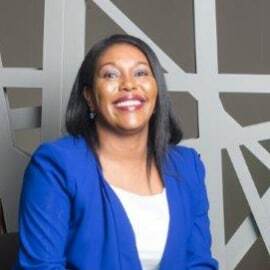 Cora was a member of the Executive Committee of Sanlam Investments and a member of the board of Sanlam Investment Holdings, Sanlam Private Wealth, Sanlam Capital Markets, Sanlam Employee Benefits and Curo Fund Services (a subsidiary of Sanlam Investment Holdings). She also served on the Audit and Risk Committee of Sanlam Investment Holdings. She resigned from Sanlam Investments at the end of 2016. She currently serves on the Board of Sphere Holdings and chairs the Remuneration Committee of Sphere. She also serves on the Board of Group Five Limited, Group Five Risk Committee and chairs the audit committee of Group Five. She is a member of the Investment Committee of  private equity fund of 27Four. She is a qualified chartered accountant.